If you want beautiful, lush grass in the springtime, there are things you can do to help your grass make it through the colder months. 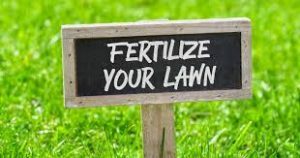 Many people think of spring when they think of fertilizing, but you actually need to fertilize in late fall before the first frost. This will ensure that your grass has proper nutrients to survive the harsher winter months. It will help promote root and shoot growth of your grass. Turf roots grow a lot in the fall and winter, so it is a key time for seeding. Choose a high quality seed, as cheaper seed may have a harder time resisting disease, insects, and drought. Water the seed each day until it germinates, which usually takes between 10 to 20 days. 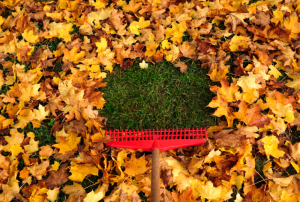 Leaves, dead grass, and organic debris can freeze and thaw over the winter. When this happens, soluble forms of nitrates and phosphate can be released. This is a problem because when the ground thaws in the spring, these chemicals can run off and end up in surface water. Raking can also help in reducing brown patches, as well as help your yard from becoming sun-deprived. Many people think that mowing is only a spring and summer chore, but that is actually not the case. Your grass will not grow as quickly over the colder months, but it is still growing. Aim to keep your grass between 2 to 2.5 inches because if it gets longer than 3 inches, it runs the risk of matting which can lead to issues like snow mold. 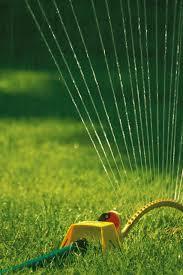 You will want to continue watering until the ground freezes. When you are proactive with your lawn over the colder months, you will reap the rewards in the spring, so it is definitely worth the extra effort and can also save you money in the long run. 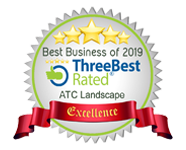 If you are looking for a professional and eco-friendly landscaping company in the Coquitlam area, look no further than ATC Landscape! Contact us today! This entry was posted in Landscaping Tips and tagged fall lawn care, fall lawn tips, fertilize lawn, how to prep lawn for winter, mow grass in winter, prep lawn for winter, rake leaves in fall, water grass in winter. Bookmark the permalink.